Self-driving tech will save both the economy and lives. 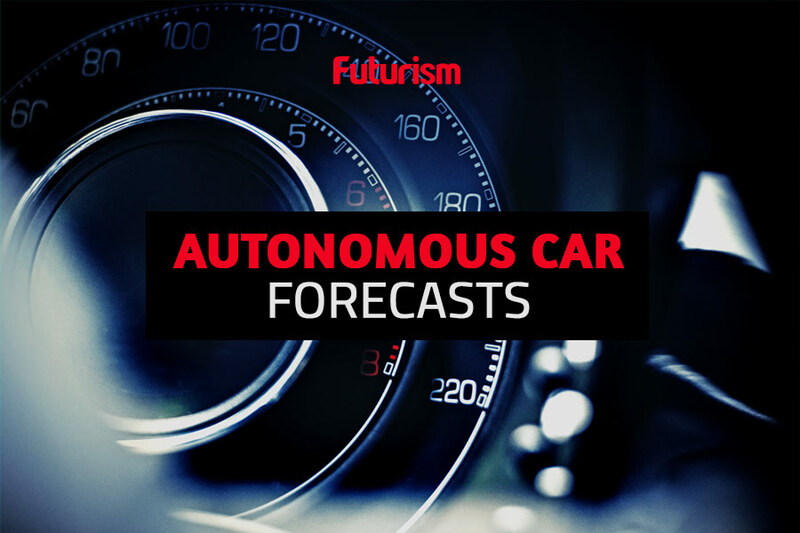 With interest from both seasoned and startup automakers, the autonomous vehicle (AV) market is expected to grow exponentially in the coming decades. A new study conducted by research firm Strategy Analytics and commissioned by Intel predicts that driverless vehicles will constitute a $7 trillion economic value by 2050, with $4 trillion from consumer use and another $3 trillion from business use. A change that major won’t be abrupt, of course. The study predicts that the growth will be gradual, with the market reaching $800 billion by 2035.
Business deliveries and long-haul trucking would account for much of the market value. As countries face a growing shortage of qualified truck drivers — nearly 100,000 in the U.K. and an expected 200,000 in the U.S. by 2025 — companies will be forced to turn to autonomous trucks. The concept has already made its way into pop culture, with a long scene in the movie “Logan” featuring self-driving trucks along the freeway. In addition to long-haul shipping, the currently in-flux landscape of retail buying will also contribute to the growth of the AV market. With goods being delivered directly to homes via self-driving vehicles the same day they are requested, in-store purchases will occur less and less frequently, perhaps signaling the final blow to the already struggling brick-and-mortar retail model. Apart from detailing the economic repercussions of autonomous vehicles, the study also notes how AVs are poised to save lives. Between 2035 and 2045, self-driving cars are expected to save roughly 600,000 lives by eliminating or reducing the severity of accidents on the road. That will result in an additional savings of $234 billion in accident costs. The study confirms what previous studies have predicted about the life-saving potential of autonomous cars. By removing the human element, which accounts for an estimated 95 percent of car accidents, AVs could save up to 40,000 lives each year in the U.S. alone. While early adoption will likely come from more developed countries, the study expects the bulk of the self-driving economy to be centered in Asia, with that region producing around 47 percent of revenues. Meanwhile, Europe would generate 24 percent, while 29 percent would come from the Americas. Wherever the AV economic revolution begins, the vehicles are clearly the future of safer and more profitable transportation. We’re in for a life-changing disruption.